This is the itinerary of the ‘Three Concessions Hunting Safari’ in the Western and Eastern Cape Provinces of South Africa. We will meet you at Cape Town International Airport on your arrival. Depending on how you feel at the time, we can have a quick bite or a cold beer. Then we will leave for our hunting spot in the Moordenaars Karoo which is 300 km from Cape Town. You will spend your first evening under African skies, enjoying a traditional South African fire-cooked meal and some cold ones alongside a campfire. Hunting in the Karoo can be some of the most challenging hunting you can do in all of Africa. The distances that we will be shooting can vary between 100 and 250 meters. We will mainly focus on Grey Rhebok and Klipspringer. Other game available includes Greater Kudu, Gemsbok, Common Duiker and Steenbok. We will also go on a few night hunts, looking for Black-backed Jackal and Caracal. While hunting in this beautiful part of the Western Cape, we will be staying in a farm style lodge with all facilities. The rooms are serviced daily and we also provide a laundry service. Then we will leave for Fort Beaufort, our hunting spot, in the Eastern Cape. 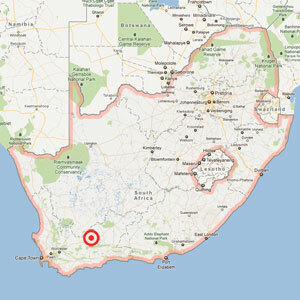 Fort Beaufort is about 640 km from the Moordenaars Karoo. We will hunt for Eastern Cape Greater Kudu, Waterbuck, Nyala, Gemsbok, Blue Wildebeest, Black Wildebeest, Impala, Mountain Reedbuck, Common Reedbuck, Common, Black and White Springbok, Bontebok, Cape Eland, Burchell’s Zebra, Red Hartebeest, Red Lechwe, Fellow Deer, Steenbok, Common Duiker, Warthog, Bushpig and many more. We will work the hunt on foot in the hills and hunting fitness is a pre-requisite. While hunting in this beautiful part of the Eastern Cape, we will be staying in luxurious hunting lodges. These hunting lodges are well-equipped and you’ll definitely find them to your satisfaction. Then we will leave for our second hunting spot in the Eastern Cape, about 250km from Pearston. The concession lies between Kenton-on-Sea, Port Alfred and Grahamstown. We will mainly focus on Blue Duiker, Caracal, Cape Bushbuck, Oribi, Cape Grysbok and Common Duiker. At this concession we will be staying on a guest farm. This farm is situated along one of the most unspoilt beaches in the country. The cottage has a sea view, easy trails and bird and game viewing. We will travel from the concession to Stellenbosch and Cape Town via the beautiful Garden Route. Depending on the time and weather we will be able to make a few stops on the way and do some sightseeing. We will spend a night in mystical Plettenberg Bay, the Jewel of the Garden Route. We will leave for the last leg of our safari. The oldest town in South Africa has much to offer. We’ve kept the best for last! We will be staying for 2 nights in a luxurious Victorian style guesthouse in the heart of the legendary and beautiful town. Our last two days will be filled with wine tasting, shopping at the famous V & A Waterfront in Cape Town and enjoying some of the best restaurants in the country! And with a colorful and diverse history, Stellenbosch provides a cultural journey not to be missed! We will depart for Cape Town International Airport. This is only a 35 km route. Depending on the time and weather we will be able to make a few stops on the way and do some sightseeing in Cape Town itself. All animals wounded or shot in water and lost must be paid for in full. There are no hidden costs. Gratuities for the trackers, skinners and guides will be appreciated. If you would like to receive a more detailed or personalized itinerary, please send us an email. We will be happy to provide you with additional information.